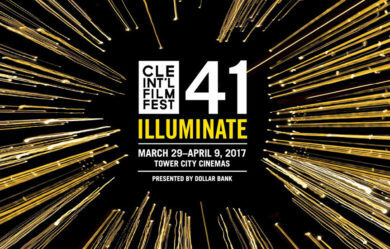 The Archives is honored to once again support the Cleveland International Film Festival by becoming Community Partners for 2017. This year’s film, chosen by the Artists Archives, is 24×36: A Movie About Movie Posters directed by Kevin Burke. The film will be played Thursday, March 30th (9:30pm) at the Cinematheque as well as Friday, April 7th (9:50pm) and Sunday, April 9th (4:45pm) at Tower City Cinemas. ENTER PROMO CODE “AAWR” AT CHECK OUT FOR DISCOUNTED TIX! For full festival schedule and details, please visit www.clevelandfilm.org. Film Summary: In the early days of cinema, and even into the 80s, movie posters were works of art. Often designed by brilliant illustrators, they were sometimes more memorable than the films themselves. Many of the artists who made these masterpieces were unknown to the general public due to film companies prohibiting them from including their signature. This restriction led such artists as John Alvin to find unique ways to hide his name within the poster. In the 90s, things began to change as technology presented new tools for creating posters. There was a shift from illustrations to photoshopped heads of the film’s star actors. As you’ll see in 24×36: A MOVIE ABOUT MOVIE POSTERS, this bland tactic became hilariously overused. While the industry moved on, die-hard movie fans took their love of illustrated poster art to the internet, leading to a highly competitive collectors’ market. This inspired young artists to revive the artform, designing new posters for vintage flicks as well as for today’s independent films. Featuring local movie poster connoisseur Matthew Chojnacki—author of the Alternative Movie Posters books—this lively documentary explores the history of this illustrated art form and its unexpected comeback. Director Bio: Kevin Burke is a filmmaker from Toronto, Ontario, Canada. He studied digital film and television production at Toronto Film School. He’s the owner of Post No Jokes Productions.